It’s one of the great ironies of nursing that, while spending long hours caring for the health of patients, nurses often neglect their own wellness. 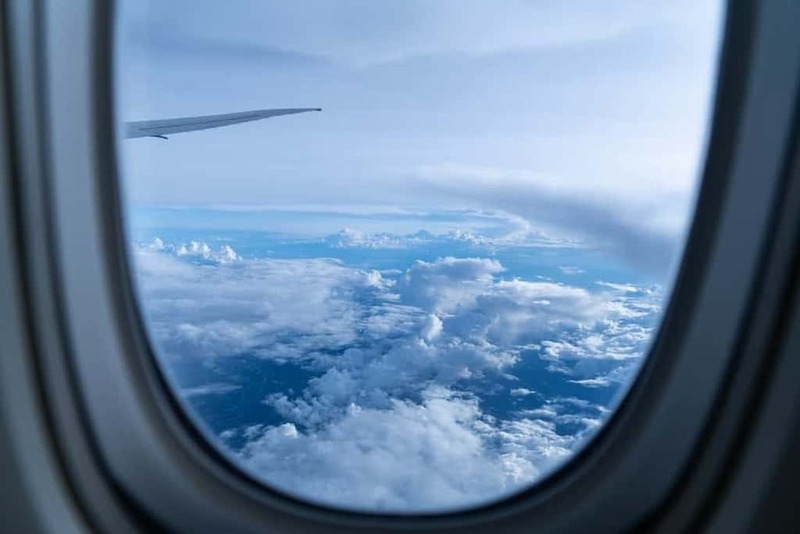 For travel nurses in particular, seeing different parts of the country is rewarding, but the frequent travel can also be stressful, which isn’t conducive to wellness. 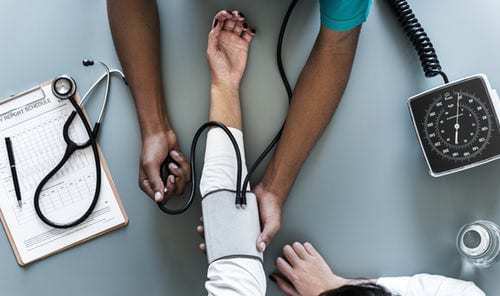 With some careful planning and a few precautions, travel nurses can effectively manage their own health as well as that of their patients. Nurses know better than most people about the importance of staying hydrated. Dehydration can affect your ability to do your job well, since it can lead to lethargy, headaches, and difficulty concentrating. However, staying hydrated while working a long shift is easier said than done. Many hospitals ban nurses from carrying water bottles into patient care areas because of concerns about germs. However, you can likely stash a reusable water bottle at the nurses’ station, the break room, or on your med cart. Set a reminder alert on your watch or phone to help you remember to take a few sips at least every hour. And don’t forget to stay hydrated while traveling to a new travel nursing job! The pressurized, recycled air within an airplane cabin is very dehydrating. Skip the alcohol and request bottled water instead. There’s no substitute for exercise. Physical activity prevents and treats certain diseases, elevates the mood, and strengthens the immune system. Exercise is so beneficial for one’s health that some researchers have proposed prescribing it like a medication. Experienced travel nurses learn to be minimalists while packing, but you can still bring some exercise equipment with you. If your travel nurse company is sending you to a destination you can drive to, consider adding a bike rack to your car. Biking is a great way to explore your new city. If you’re flying, consider investing in any of the portable exercise equipment below. As soon as you land a new job through your travel nurse company, you can start researching the destination. Do a Google search for fitness centers that offer monthly, rather than yearly memberships. If there’s a good chance you’ll have trouble motivating yourself to get to the gym, look for fitness classes instead. Challenge yourself to try something different, like kickboxing, Krav Maga, or aerial yoga. Fitness classes can be more motivating than a gym membership. Once you sign up for a class, you’ll feel obligated to attend. Not every hospital is lucky enough to have a great cafeteria with healthy choices. But you can still prioritize your nutrition. Skip the vending machines and bring enough healthy snacks to get you through a shift. Try for a mix of protein and complex carbs, like cheese with whole grain crackers. Fruit does double duty as a snack and source of water. On your day off, you can prepare and pack enough healthy lunches to get you through until your next day off. Your mental wellness is just as important as your physical health. Nature therapy, also called ecotherapy, is one way to support both aspects of well-being. According to Counseling Today, the average person spends 90% of the time indoors. This is a historic shift in the way humans have previously experienced nature, and some researchers suggest nature deprivation can encourage everything from anxiety to obesity. It isn’t necessary to go on a multi-day hiking trip to get back in touch with nature. Just look for everyday opportunities to get outdoors. Take your lunch break outside and enjoy the fresh air. On your day off, find a local park or wildlife preserve. Practice mindfulness while outdoors by paying attention to the sounds, smells, and colors of the natural world. It’ll refresh you, and you’ll feel ready to tackle the challenges of your next shift. Stability Healthcare has a growing reputation as being among the best travel nursing agencies, thanks to the intuitive online platform, exceptional resources, and pay transparency. If you’re looking for your next travel nurse job, sign up with Stability Healthcare today. Picture a business traveler in your mind. What field are they in? How are they dressed? Where are they going, and what will they do there? Chances are, you’re picturing someone working in finance or in another high-powered corporate role, dressed in a designer suit, heading to a major city to put a big new deal together or attend a shareholder’s meeting. It’s the image you’ve seen in countless movies, TV shows, and magazines: the professional powerhouse, always on the move. Now imagine you could combine the glamour of work travel with the personal satisfaction of giving care for a living. If that prospect excites you, travel nursing may be perfect for you. Being a travel nurse offers much more flexibility than you may have expected when you first decided to pursue your credentials. 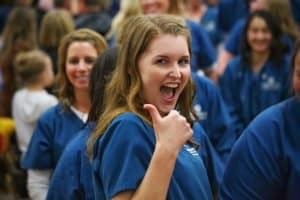 If you’ve just obtained your degree as a Registered Nurse, plus your nursing license and at least one year of acute care experience, you can either start looking for a permanent position right away – or you can take advantage of Stability’s placement program and work in a wide range of nursing positions across the country. It’s a great way to add versatility to your nursing resume and open up more doors in the field. There’s also the benefit of learning how a variety of healthcare facilities operate within a variety of communities. At any time, you can find yourself working in a large hospital, a specialized clinic, or a tourist destination that needs nurses at the ready. In the same year, you can be placed in a major city, a mid-size suburb, or a small country town. Each type of place presents its own challenges for patients and the people who care for them. 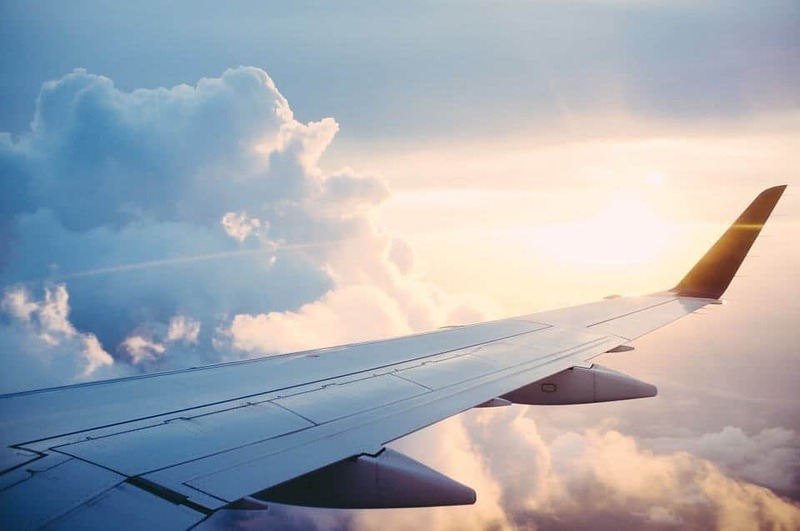 Learning what those challenges are as a travel nurse will help you anticipate your patients’ needs and find out where you can be most useful. 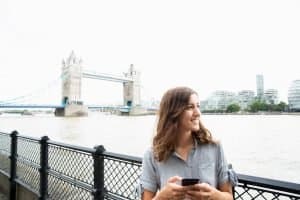 One underrated reason to become a travel nurse is how it will help you make long-term plans for your professional and personal life. After you’ve completed nursing placements in many different cities, you may find a place that suits you especially well – not just as a nurse, but as a human being. You’ll have taken the opportunity to experience the day-to-day life that this city has to offer, as well as the work environment. Maybe you’ll want to stick around for much longer, in a permanent nursing position. But you may never have discovered the perfect city for you if you hadn’t decided to become a travel nurse. Best of all, travel nursing is fun! Since your workweek will typically be 36 to 48 hours, you can take your time off-duty to get out and explore your placement city. 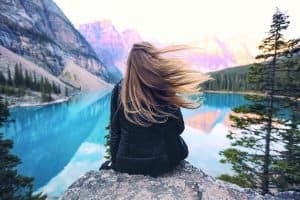 Whether you’re catching a concert in Seattle, hiking the trails of San Diego, enjoying autumn colors in Boston, or drinking in the year-round sunshine of Los Angeles, you’ll feel like you’re on a nonstop quest to see the best of America, with Stability there to help you plan every step of the journey. All these rewards and more can be yours after you sign up to be a travel nurse. Take some time to look through our current list of assignments. Your ideal nursing role may be waiting for you to come in for a landing. 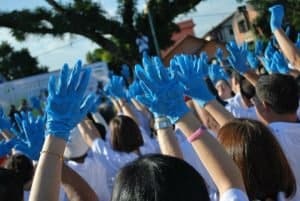 Nurses are the engine that power a hospital to run smoothly and effectively, delivering the patient care and service that is necessary to the well-being of society. It’s a job that requires constant movement and activity; unlike many other modern jobs, the bulk of this profession is not spent behind a desk. The Dansko professional line is considered one of the gold standard shoes in the industry. 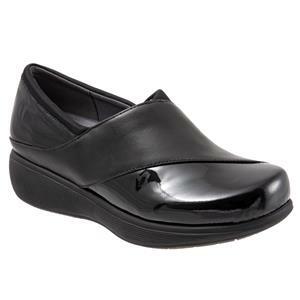 Boasting of over a quarter-century of experience providing shoes for nurses everywhere, Dansko offers two main lines of nursing shoes: traditional clogs and shoes and the “Work Wonder” shoes for nurses. The traditional nurses’ clogs and shoes mix high style with comfort and support, coming in colors ranging from “wine” and “black oiled” to the more fanciful “hearts” and “paradise” styles; they’ll range from $100-$150. The “Work Wonder” nursing shoes feature a “Cleansport NXT organic odor control system,” as well as easy clean-up and slip resistant technology and a fit that resembles traditional styles. The “Work Wonder” lines come in similar colors and cost $100. The Nursemates ALIGN line was created in alignment with a podiatric physician and surgeon and emphasize sergonomic design with high-quality materials. 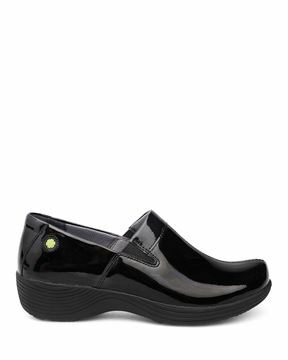 Coming in slip-on or lace-up (and boasting a wide selection of eye-catching designs) the ALIGN series is one of the more stylish nursing shoes lines out there; the ALIGN shoes will cost anywhere from $89.95 to $129.00. Nursemates also offers a men’s line of Align shoes (with fewer colors, and all priced at $89.95) and the more affordably-priced Quark line of nursing shoes. 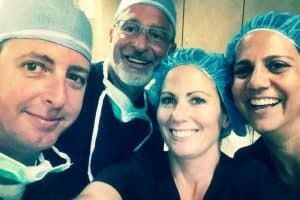 One of the best options for any nurse starting a job in one of the traveling nurse companies out there. Remember the Skechers footwear brand that was ever so popular in the mid-to-late 1990s? Well,they’ve expanded into the nursing shoe game with their Healthcare Pro Sr collection, providing the same sort of appealing colors and styles with the foot benefits nurses need – protection from stains, slip resistance, and expanded arch support. Ideal for any nurse looking to make a colorful impact on one of the many travel nurse jobs available. The Healthcare Pro series of sneakers will run you $70.00. Timberland has a deserved reputation for making some of the most durable and comfortable work boots and shoes out there; their nursing shoes follow in the same storied tradition. There’s not a huge selection of styles or colors, but again, for durability and comfort, their Renova Professional Slip-On shoes are nearly unparalleled. Again, not the most fashionable (you can choose from between black, brown and white colors), but the shoe features slip-resistant technology, Scotchgard stain resistance, full-grain leathers, cushioned footbeds, and “exclusive Anti-Fatigue technology.” The shoe will cost you $120. Another bonus? Timberland offers free returns for 60 days along with free three-day shipping. There aren’t many other footwear brands with a better reputation than the beloved German corporation named Birkenstock, and they make a line of comfortable, versatile andcolorful nursing clogs. Take a look at the “Black Skull” style (if you’d really like to turn some heads) or the “Raspberry Sorbet” style (perhaps a little more appropriate for the hospital; all of the styles are unisex, and run from around $80 to $150. Okay, Grey’s Anatomy might not be the most accurate representation of hospitals ever on television. However … it’s still pretty fun, right? Well, if your dream has ever been to literally walk in the shoes of the Seattle Grace staff, Softwalk Shoes has brought that into reality. Their line of nursing shoes boasts styles called the “Meredith,” the “Maggie” and the “Miranda,” all named after their Anatomy characters. Not only are they fashionable and comfortable, they’re reasonably priced (ranging from around $60 to $120; there’s also a branded “footbed” insert option). See what we’re all about here! With a population of nearly 40 million, California is the most populated state. However, it is among the lowest in terms of nurses per capita. This is why California has a high-demand for qualified travel nurses. If this is something you’re interested in, you’ll likely find a position in the Golden State. 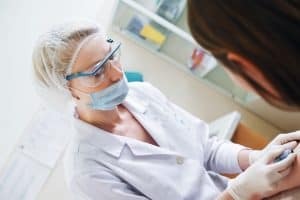 Before we dive into the specifics surrounding your California nursing license, it’s important that we discuss some of the main areas of concern. For starters, when you are nursing in a new place, it’s important that you understand the main hospital systems. Although there are a number of noteworthy organizations, including Dignity Health, Sutter Medical Foundation, and Kaiser Permanente, it is less important that you understand these main hospital systems and focus more on the larger hospital systems as a whole. 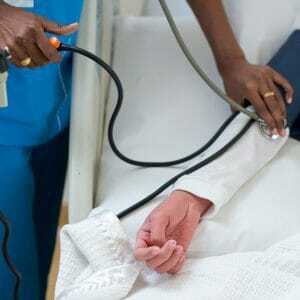 It is also important to note that various regions tend to pay higher rates for travel nurses compared to other areas. For example, travel nurses tend to be paid higher rates in Northern California, compared to Southern California, based on higher bill rates. However, pay will vary on a case-to-case basis. Keep these variables in mind as you continue to conduct your research, prepare your application, and make travel plans. To get started, you will need to first obtain your license. Only then will you be considered to work in California. To do so, please follow the steps and guidelines below. Please note: The licensing processing itself can take time. As stated by Marian University, since 2013, the state has been processing endorsement applications at a slower rate. This is also why it is beneficial to obtain the assistance of a travel nursing company, as they will help you through this process. Path one (the “short” path) can take as little as 24 hours — however, 3 to 6 weeks is a much more probable timeline. Path two (the “long” path) takes around 12-14 weeks, so you’ll need to plan ahead! Why the difference in processing times, you ask? Well, the main difference between these two avenues is based on the fingerprinting process. 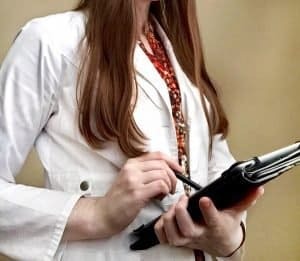 In the state of California, to work as a registered nurse, you need to obtain your fingerprints from a federal Department of Justice. When opting for the quicker path, which will result in a lot less time and stress, you can provide your fingerprints to the state via LiveScan. You will find the required form here. Read electronically, the results come back quickly. In contrast, if you request a fingerprint card from the state, send the card in the mail, and then wait for a response, you may be looking at anywhere from 4-8 weeks until the state receives your completed package. Currently, if you opt for the faster processing approach, you can get a California RN license by endorsement in approximately 4-6 weeks. A completed endorsement application, which you can print directly from the California Board of Registered Nursing website. A recent 2×2 passport-style photo. A verification of license, which can often be accomplished on Nursys, an online license verification system. 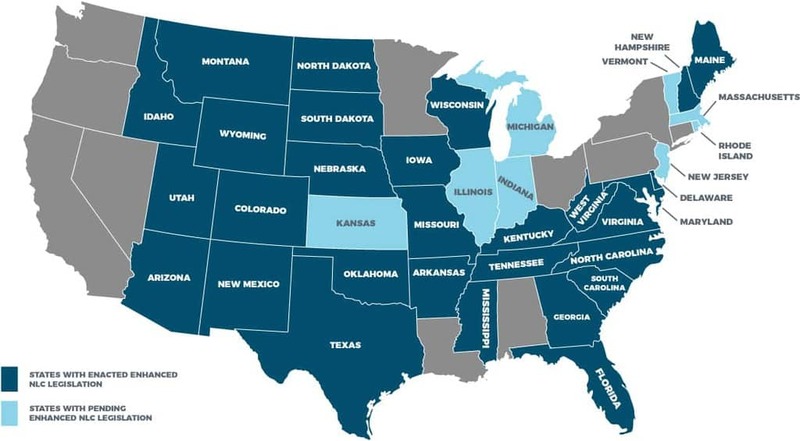 Since certain states, such as Alabama, Kansas, Illinois, Oklahoma, Georgia, and Pennsylvania do not participate in this online system, if you are licensed in one of these states, you’ll need to contact your state’s board of nursing (BON). When using Nursys, although you can access this verification immediately, it will only be valid for 90 days. That is why you should not request a verification of license until you are ready to submit your application in full. Transcripts from all of the nursing schools you attended. You can request that these be sent to the California Board of Registered Nursing (CBRN). This typically takes around two weeks. However, it is possible that delays will occur. The only time you do not require this step is when you are applying for a temporary license. For those who would like to start practicing right away, a temporary license is an ideal option. The current fee to obtain a temporary license is $50 (in addition to the $100 application fee). This application process is the same as above (however, as discussed, you do not need to include any transcripts). For nurses who are traveling from out-of-state, you will find all of the information you require here. However, if you are an international RN, you may need to take additional steps in regards to documentation. For all international applicants, you can find assistance here. If time is of the essence, the fastest way to get a California RN license by endorsement is to visit the California Board of Registered Nursing in Sacramento. This will allow you to complete the LiveScan step nearby, before handing in your required documentation. This will allow you to obtain a temporary license and avoid the processing time associated with transcripts. When you complete the application form, be sure to apply for both a permanent and temporary license so that you can you transition to permanent status once your temporary license expires. Regardless of your approach, it is recommended that you contact CBRN in advance. That way, before you submit your documentation, you can ensure that you have everything you need. This will help you avoid delays. You can reach them at 1-800-838-6828 for more information. Looking for ongoing support as a travel nurse? Stability Healthcare is here to assist you. Please contact one of our travel nursing experts today! The first step to becoming a travel nurse is of course getting your degree. 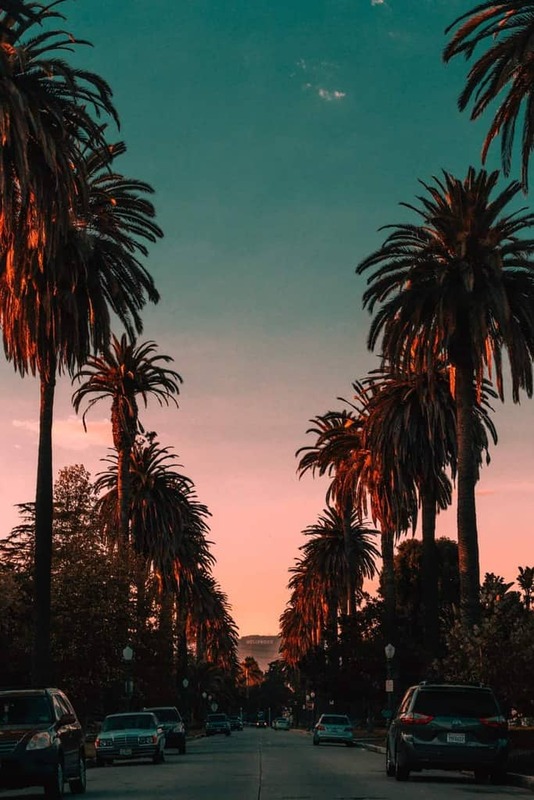 To help you get started, this week we’ve decided to highlight some of the top options for nursing schools in California. 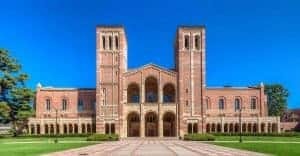 While UCLA is commonly known for their athletics and other programs, they also boast an award-winning nursing program. Not only is UCLA ranked for being one of the best nursing programs in California, but is actually ranked as one of the best nursing programs in the country by US News and World Reports. 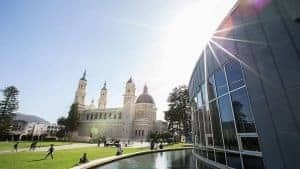 Among the many highlights of the program, the university prides itself on their faculty and their student-faculty relationships throughout the course of achieving a degree. With half of their faculty members being fellows in the prestigious American Academy of Nursing, you can trust that you are in good hands! 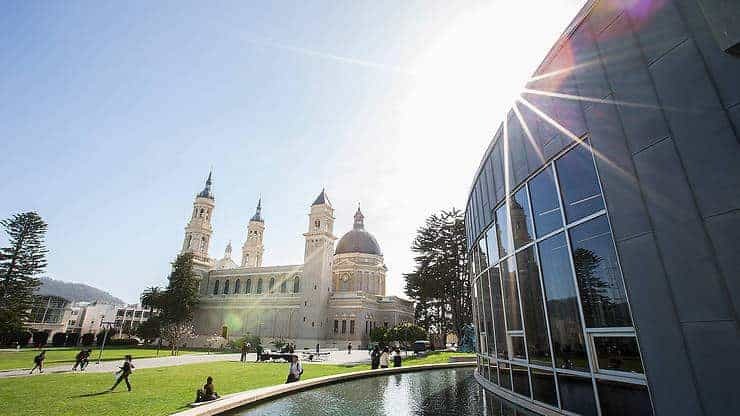 Recently ranked the 13th best nursing program in the world by QS World University Rankings by Subject, University of San Francisco has an incredible nursing program. Thanks to its location, the learning experience span all throughout the city and its resources are available to students as they learn in and out of the classroom. The program emphasizes problem solving, leadership, and the importance of preparing for challenges in an ever-changing health care system. 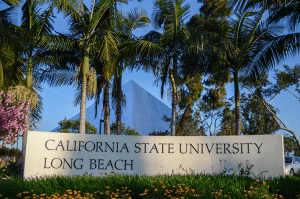 Unlike many nursing programs, CSU- Long Beach takes four years to complete rather than two. This is ideal for someone who wants to dive into nursing right at the start of their college education with clinicals taking place all eight semesters. With a comprehensive nursing program, CSU- Long Beach is known for its extremely high NCLEX passing rates. Keep checking in on the Stability blog for more inspiration and for fun tips. If you’ve graduated and are ready to start your travel nursing journey, head to Stability online at stabilityhealthcare.com to request a quote and see what placements are available.